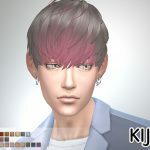 If you update the lashes,please download again,then overwrite the old files. This is a little bit anomalous CC. Please read the Description and Note,there are some things to note when you use it,pretty please! Added “Uncurled Eyelashes Edition” for skin detail. “Uncurled Eyelashes Edition” Glasses version is here. Click the download link below to get it. Please read the “Note” and “Known issues” below before you use this. Lashes are in Skin Details category. Mouth Crease or Forehead Crease. Designs and colors are the same as Glasses version,please see the Glasses version for the details. 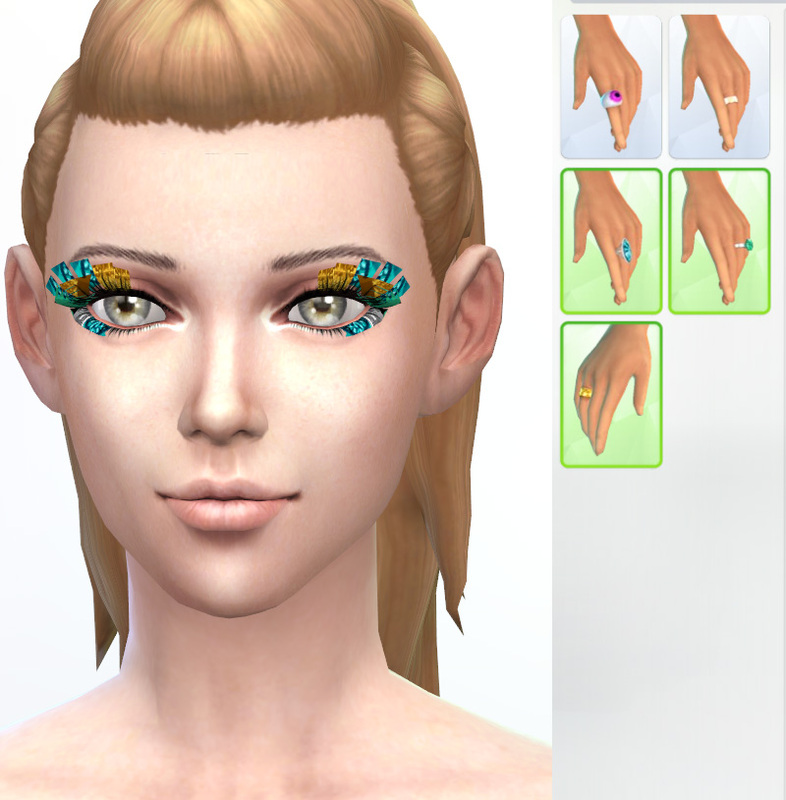 These lashes and rings can’t be used at the same time because the lashes are mapped on rings’ texture area. Please make sure to turn off the Laptop Mode. but if you upload it somewhere,please DO NOT include mesh data. Also please DO NOT copy my meshes. Please make sure that your game version is the latest. Optional files for the lashes above. I updated the main files which include mesh data in Mar/22/2016. Even if you’ve got my lashes (Main files) already,you need update them for using these additional colors if main files in your Mods folder are older than that. Please download again,and overwrite old files. Required the game version PC 1.19.28.1010 , Mac 1.19.28.1210. For Glasses version is here. These lashes are skin detail,so they are kept to put on sims when they are naked and wear a career uniform. However,it means that once you create a sim,you can’t change it. Also,you can’t change it for each outfit category. 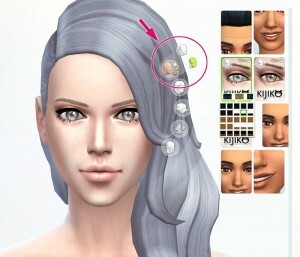 If already sims exist and you want to change their lashes,you need to use cheats. These lashes are mapped on ring’s texture area. Because of that,you can’t use rings and these lashes at the same time. There are some issues when this eyelash is used with glasses. Please see the known issues below. Rings’ textures conflict with the lashes’ texture. 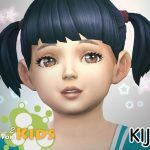 Now you can edit your sims you’ve already made. Click on a Dresser and choos the new option “Change Sim”. Press “Ctrl + Shift + C” ,type the cheat code into the text box that appears,and then hit Enter. After that,shift-click on a sim and select “Modify in CAS”. You can close the Cheat Console when you press “Ctrl + Shift + C” or esc key. This eyelash uses the ‘Sim Glass shader’ for transparent lashes texture. This shader can’t draw transparent texture in laptop mode. Please turn it off when you use this. These lashes can be used with glasses,but there are some issues. 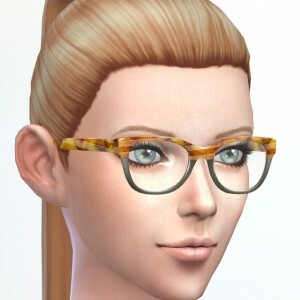 Some of EA’s glasses make lashes distortion. When I made glasses for testing,it did not make distortion,though. Depending on the way to make glasses,it seems that can be avoided. However,I think Maxis(EA) did not design as usable an accessory behind glasses,so there might be nothing to do for this issue…unfortunately. 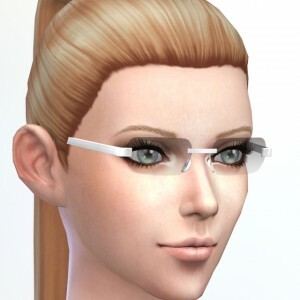 Uhhh…Some of EA’s glasses make lashes distortion. No distortion! …my glasses is OK,too. Fixed an issue about the lashes clipping through a hair with texture alpha. Thank you for your information,Irina! The lashes will not be drawn front of bangs any more. Fix the issue with specular maps. I fixed an issue that might affect specular maps of other CAS parts. 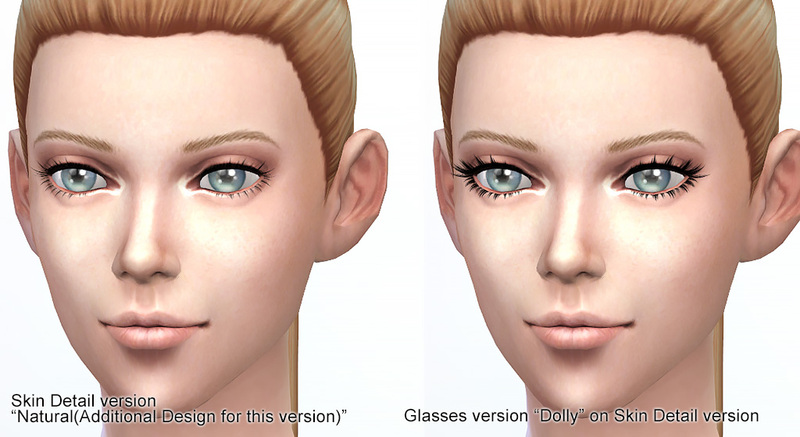 If you’ve already got my lashes (version 2 for Skin details),please overwrite the old files. 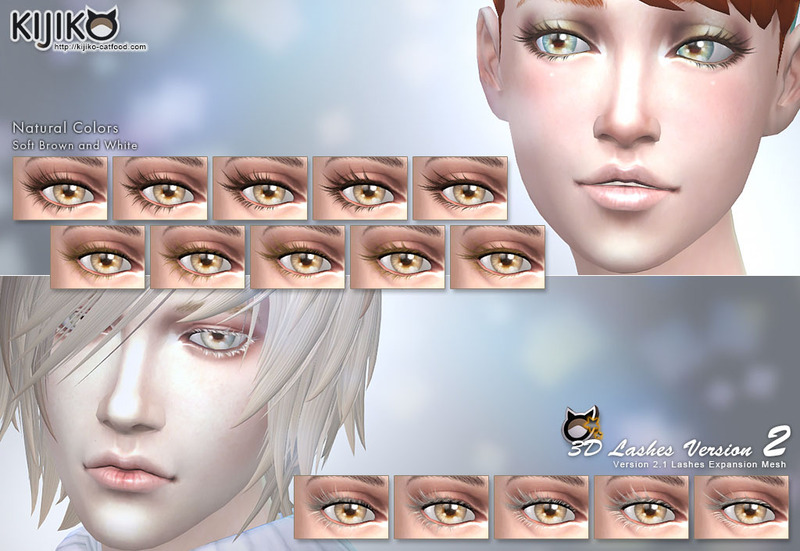 If you use long eyelashes styles,you need to put main files and optional files included in this zip file into your Mods folder. Please see the ‘Read Me’ file (included in this .zip file) for the details. The Lashes are now compatible with Masculine Female and Feminine Male. 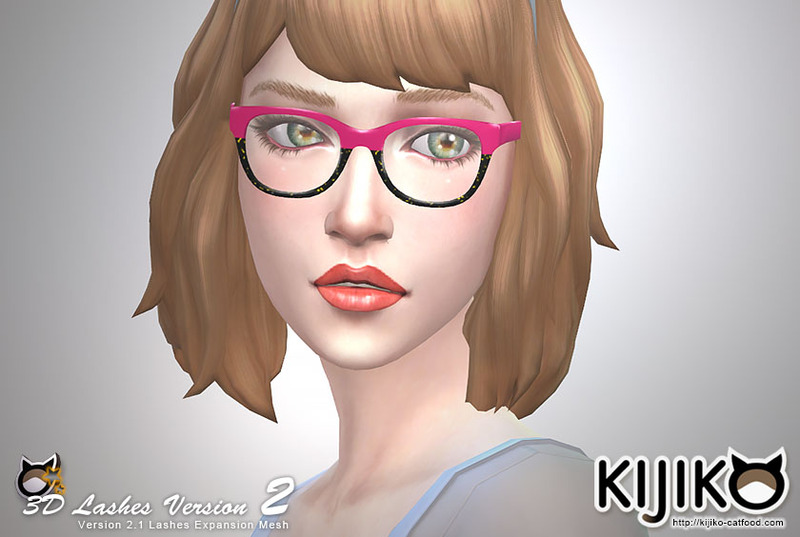 If you already have got these lashes,download again and delete the old files,then install again. The files for Male are not needed. The Lashes are compatible with all gender by one file. So,I strongly recommend that you DELETE the ALL old files of these Lashes before re-install of new lashes files. If you use this update,download again and overwrite the following file. The ones from that website are from last year. Accordingly,comments were closed. If you have any trouble,please check out that guide,and leave a comment at that page if you need. Other than that,please leave a comment at “About Kijiko”.